Twenty-eight aircrafts, including Dakota 1940 vintage version, will be participating in the Air Force Day's flypast ceremony. The fully restored and newly inducted DC3 Dakota #VP905 Parashurama will be participating in the Indian Air Force Day's flypast ceremony on October 8, 2018. Twenty-eight aircrafts, including Dakota 1940 vintage version, will be participating in the Air Force Day's flypast ceremony. Dakota is flying for the first time in Air Force Day ceremony. Also, Tiger moth and Harvard vintage aircraft will take part in a scintillating air display, which is the hallmark of the Air Force Day parade/investiture ceremony at Air Force Station Hindan (Ghaziabad). Dakota, as well as the ALH, are the two inclusions, said Wing Commander Sharma of the Indian Air Force. The Dakota DC-3 VP 905 Parashurama of 1940 vintage was formally inducted into the IAF during a grand ceremony at Hindan where a key was received by the Chief of Air Staff Air Marshal BS Dhanoa from Air Commodore (retd) MK Chandrasekhar, father of MP Rajeev Chandrasekhar. He handed over the aircraft to IAF on May 4, 2018 at the Hindan airbase. Rajeev Chandrasekhar had recently written to Suresh Prabhu, Union Minister of Commerce and Industry, and Minister of Civil Aviation, urging him to designate April 15 as Indian National Aviation Day. 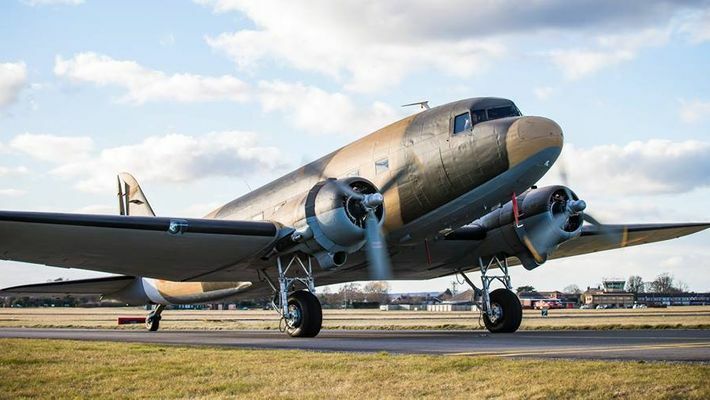 This famous flight of the Dakota, DC-3 VP 905, across seven countries, was a recognition of the service provided by this venerable aircraft to the nation. The Dakota, popularly known as the Gooney Bird, was the first significant transport aircraft inducted in the fledgling Indian Air Force.